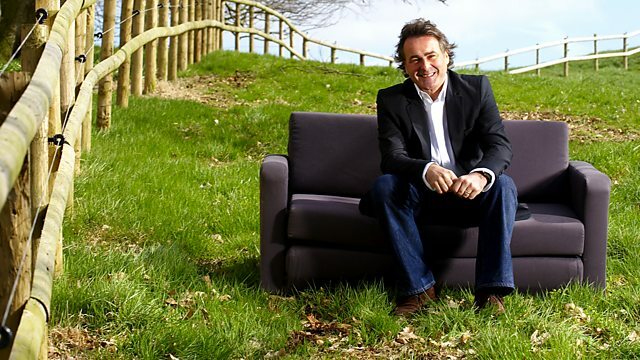 Edinburgh ‹ Series 7 ‹ Flog It! Paul Martin and the Flog It! team are in Edinburgh at Our Dynamic Earth. Finds include a Meissen tea set and an advertising gimmick designed by a famous Scottish artist. Browse content similar to Edinburgh. Check below for episodes and series from the same categories and more! Spend, spend, spend...that's what I love to do, go shopping. Edinburgh is home to the oldest department store in the world - Jenners, here. But shopping is definitely out of the question today, because it's all about selling. Flog It is in town. Edinburgh truly is a remarkable place. or historically important, and the whole city is a World Heritage site. is its breathtaking landscape, set amongst volcanic hills. Our home for today is Our Dynamic Earth, this striking building you can see behind me. say the same for our experts, Adam Partridge and James Lewis. They're like coiled springs, so let's set them loose with the first valuation. Now, Janet, I have to say, when I first saw you in the queue with this plate, I loved it. of arts and crafts, art nouveau design. It's just such a mishmash of styles. then you've got these arts and crafts flower heads, then you've got these art nouveau scrolling tendrils. And you've got these great budgies in the middle of it! Really odd, but tell me, how did it come to be here? It's always been referred to at home as the budgie plate. -it's been for the last eight years. but look at the dots. The first one put on in 1891. So 1891, '92, '93, '94, '95. 1895. And also we've got a painter's initials, there. artists, but this now comes under two different collecting fields. but there are also those people that collect anything to do with budgies. Yeah! Those are the budgie collectors and breeders in the UK. I have no idea. To me it's a plate. -Do you know, to be honest, I don't know either! -That's two of us, then. -I've never seen one, but I love it. But you always have to be careful that when you love something, you don't go over the top. But a lovely thing, and I think if we put an estimate of £40 to £60 on it, I think we should be about there. -If it makes more, I'll be thrilled. -So on that basis, are you happy to send it off to auction? Because I don't want it to be in the cupboard for the rest of its life. No, it's great! It shouldn't be in the cupboard. Somebody will really love that. Let's see what it does. -Pleased to meet you too. I always find it quite sad sometimes when people are selling medals. -They were my grandfather's medals. And can I ask why you've brought them along to Flog It today? -There's nobody else in the family to leave them to. Well, that makes a little more sense. else, you think, "What a shame that the family history's going,"
but now I can understand it a bit more. So they're going to be named along the side to your grandfather, there? Yes, it should be P Kerr or Peter Kerr. There we are. RA. Royal Artillery. -There we are. So this is the war medal and the victory medal from the First World War. -The 1914-1918 war, and this one is known as the Mons Angel. -which is 1914. And you can see the French flag on the side. -why we're going to suggest selling them as a group. -Estimate would suggest £50 to £80 on them. -I think they should make that. Maybe more. -I think we should put a reserve of 50 on. -Because we don't want them going for 20 quid. -Because everybody's going to be unhappy then. So, do you collect anything else? -I had a feeling you were a collector. -What's the term for a thimble collector? -How many thimbles do you have? -And I never use them and I can't sew! Why thimbles? Because they're small and pretty? Because they were small and pretty and somebody bought me one. The first one, I think, was Charles and Diana's wedding. -And children of a friend bought them for me. I belong to a thimble club as well, so I buy from them. -Just ceramic or silver, gold? I've got one made out of salmon skin, crystal, wood. -So you've got pretty much an example of every known type of thimble? Very good. So £50 to £80. -Not a lot of money, but I bet I can guess where it might go. just before Christmas for Macy's sale. So some of it will go to that. -I shouldn't have presumed, should I? -Some of it'll go there. The rest will go to my brother. -..split it with your brother. -Because he might be watching. Lynn, coming here to Edinburgh, I was expecting to see Scottish provincial silver, Wemyss pottery. Just about the last thing on the list was a bit of Meissen porcelain. So tell me, what's it doing here? it usually just stays in the cupboard under lock and key. So is this part of a collection or is it a one-off that your parents had? Oh, no. My mother collected china and she collected china in all forms. little tiny cups from various countries that she visited. Oh. So is this something that you think she brought back when she was visiting Germany? -I think so, yes. Probably, yes. of a move around, there is room for two, which would have been a cabaret set. So this was probably made around 1950, 1960. It could be 1930s at the earliest, really. all the way through into the 20th century. Now, the Meissen mark is probably the most famous mark of all porcelain factories. there we have the famous under-glazed blue swords of Meissen. and turn it over and see those and assume instantly that it's Meissen. But that is also the most copied of marks. Minton porcelain from England used the crossed swords mark. impressed marks together with the blue swords. And it's a great set. It's in good order. We've got a little tiny chip there, but really that's nothing to work about. -That was there when I got the set. -It looks as if it's been there for a long time. It does have a limited demand. -like this, that would just look so pretty on the side, wouldn't it? It's not necessarily a useful thing - it's more of a decorative object now. -And there is a market for them. it should make that. If it makes over 100, 120, then we've done very, very well. Shall we put 70 on it as a reserve? -Let's do that. Sure you want to sell it? -Yeah? Let's take it to auction and see how we do. at all the items that are going under the hammer. James loves this unusual Royal Worcester plate. Let's hope the bidders do too, and Janet's budgie flies away today. her with plenty of spending money for her shopping trip to the Big Apple. so it could be a refreshing result for Lynn. just south of Edinburgh, to Thomson Roddick Auction Rooms. This is a wonderful old auction house. It did have a different past. It is an antique within itself and it's just had a new facelift. and the first item to go under the hammer is the Royal Worcester. The Royal Worcester plate with the budgie design on it. It belongs to Janet. We've got the plate. We don't have Janet but we've got her sister, Helen. I like this. -And this got divided up between the two of you. -she never did anything with it, but my granny used to put bread on it. Right, we've got £40 to £60, James. it's got a bit of transfer-printing there, but it's a lovely design. It's just a very acquired taste. -Yeah. The budgies will sell it! -Of course they will. Let's give it the tweetment. And I can start this at £20. 20 bid. 20 bid. 20 bid. 25, 30, five, 40, five, 45. -It's gone down. £45, Helen. -You're happy with that, aren't you? -You looked slightly worried, there. -No, no, no. No point it lying in a drawer, is there? -Get it out there and flog it. That's what it's all about, isn't it? If you don't want it. Right, it's Marjorie's turn now. We've got a Royal Artillery medal and that plaque. -We've got a top-end estimate put on by Adam, our expert, at £80. Could we do any more on that? so I think probably fairly accurate. -It's sort of an academic piece, really, isn't it? -Yeah, interesting, but not especially valuable, I don't think. -OK. OK. Well, fingers crossed. -This is the moment we've been waiting for, isn't it? Various bids on this and we start them at £35. 35, 38, 40, five, 50, five, 55. Anyone going on at 55? For the medals at £55? Selling to the gentleman at 55. No major surprise, but it's pretty much what we thought. -And that's supper out, really, isn't it? -It's not a lot of shopping. -No. Well, it'll go towards it. It'll go towards it. It's Lynn's little Meissen tea set. I like this. It's quite cute. It's not like a big, big tea set, more like a little trio, but there are four or five pieces. -And it was your mum's, wasn't it? -And you've never used it? -And we've got £70 to £100 on this? -It's in the 18th-century style. -It does have the look. -If we were talking about 19th century, it'd be mid-hundreds. If we were talking about 18th century, it would be thousands. -But it's still a really lovely-quality lot. Hopefully we can get you the top end. This is it. I've lots of bids on this and I'm starting at £200. 200? 200? 200? 200? Who's going on at 200? -That is more like it! 200? 200? Selling all the time at 200. Any advance on 200? 220, 240. Selling on commission at £240. Yes! Gosh, straight in at £200. -That's what I call a very good result. -So, there's commission to pay. It's 15%. They deduct that from the cheque that they send you in the post. So what will you put that towards? I'll put it towards a holiday to Vancouver. Have you family out there? Yes, I've got my brother and his wife and his children. -It's great to see you, Lynn. Well, some good results there. We're now halfway through our auction. We're coming back here later on in the show, so don't go away. But we've just seen how this place has worked as an auction room, but it hasn't always been that. For years, it was run in the style of a Gothenburg pub. To understand what that means and why, we've got to go back in time. of people risked their lives searching for Scotland's black diamonds. Now, that's coal to you and me. Coalmining has existed in this part of Scotland since the 13th century. With the Industrial Revolution, demand for this valuable resource rocketed. The small mines in the area were failing to keep up, and the industry was about to go super-size. The Lady Victoria Colliery is now home to the Scottish Mining Museum. It was sunk in the early 1890s by the Lothian Coal Company. It was the first of Scotland's super-pits and it was to prove innovative in many ways. made it the greatest mine of its age. and all of that was hauled up the 500m shaft by the largest winding engine in Scotland. But perhaps the best innovation of all came with the Lothian Coal Company's treatment of its workers. standards was just as important as improving their working conditions. so they got some outside space. bowling green, a picture house and even a pub, the Dean Tavern. used to benefit the local community, and the name came from the town in Sweden where the system originated. Archibald Hood introduced many other Gothenburgs to villages in the surrounding area too. working for the Lothian Mine Company here in Newtongrange? Well, very hard, as it was for all miners, whichever company they worked for in that period. -I want to know all about this guy, the manager. Well, he was a tall man, 6ft tall, a very commanding presence. Administer a little bit of force. from the 1890s until virtually his death. -the Lothian Coal Company provided for them. -But at least these miners had houses. They were given accommodation, with little back gardens. So life was OK at points? Well, in that way, yes. But they were tied houses, so as long as you had the job, as you say, you could have the house. If you lost your job, you also lost the house. -So it kept you in work, so you didn't want to argue against Mungo. Otherwise you'd make your wife and kids homeless. Sort of more like that, really, under the thumb, so to speak. Did he have anything to do with his pub? was founded by the Lothian Coal Company in 1899. So you couldn't even come here for a drink, after a hard day's work?! You would be very wary, unless they were numbered among his informers and spies. -Because he was always spying on them? in the village and in the pit. He used, they thought, about half a dozen men. as Burns put it, "nursing her wrath to keep it warm,"
the miner would be reported. in his house with his wife, he'd be put out. He'd be evicted. -being evicted onto the street by Mungo Mackay. probably the most able mining engineer in Scotland in his generation. So he was a good thing for the mine? He made it a profit? was an extremely profitable, well-run pit, and he saw to that. and it's still run as a Gothenburg pub. Sadly, most of the others didn't survive. but for now, Adam's spotted something quite unusual. -Welcome to Flog It. What's your name? And what's that short for? -Euphemia! That's an unusual name, isn't it? -Is that a Greek-derived name? -and that's what her name was. -But you want me to call you Fay? You've brought along something that I've never seen before. -Where did you get this bowling ball decanter from? Right. And when did you get it? Right. So would you like to demonstrate what it does? -then you take the decanter out. What's the song that it's playing? It's 'Oh, What A Beautiful Morning,' isn't it? Put that back in and that stops it playing. -No! It's not the sort of thing you'd use. Do you play bowls? I used to, in Singapore. Right. Did you live in Singapore? My husband was in the RAF. -Right, OK. I bet it brings back some memories, doesn't it? It's the place where I adopted my son, in Singapore. -He's here today, isn't he? I met him as well. -and I fell pregnant with my daughter that I have now. I was told I couldnae have any children. So there are a lot of memories associated, aren't there? -I hope you've got other things that remind you of those times. -So selling this doesn't mean it's forgotten about. -So you're having a clear-out? because my family doesn't want them, so what's the use of keeping them? Well, it's good fun, isn't it? It's a quirky object. More and more people are interested in 20th-century novelty stuff. -I don't know it's going to make a lot, really. -I'm not bothered about that. -But we'll put it in the auction. -I'm just happy to meet you lot. We'll put an estimate of £20 to £40, shall we? -It'll get a good home. -..we'll get a good home for it. and hope it bowls them over. Thanks for coming to Flog It. Jeanette, have you come far today? Just about six miles. Not far. -this is the sort of thing that you'd bring with you. It's basically a lady's or a gentleman's travelling companion. or a shagreen or shark skin case, to protect this rosewood. that would be silver plated to start with. but also here, we've got two inkwells. One for black ink and one for red ink. gaps here for scissors and nail buffers and that sort of thing. And in here, for your letters and papers. -a little secret compartment there to keep your jewellery in as well. So how did you come to have it? Is it a family piece? and she said, "You pick anything you like." and thought, "No, I would like to keep that." and it just sits on a shelf and stores buttons and things like that. -Oh, really? So you have at least been using it. Not very practical, I'm afraid. You could just never use it today, could you? was to engrave your name or initials. We call it rosewood because of the smell when the tree was cut down. -and when they cut through the wood it smells of roses. That's why it's called rosewood. Not, as many people think, from rose bushes in the back garden! Date-wise, it's about 1840, 1850. -Really? I never realised it was as old as that. -Very plain, very standard in form, but a good, practical object. So, what do you think it's worth? I'd probably have thought about 150. Ooh, I'm going to disappoint you. -But it does just show, though, doesn't it? It does just show that antiques are affordable. For something of that age, what a thing to buy. It's not in good condition, either. -but other than that it's not bad. -Saying it's 150 years old, it's not bad. So £50 to £70 as an estimate. -If it makes more than that, great. -But I don't think it'll make your 150. -Still want to flog it? -Let's take it along and see how we do. Can you guess what it is? It's got form. It's got sculptural form. You can just make out it's an elephant. -That's exactly what it is. Are you a modernist? No, I'm a bit old-fashioned, really. -You like your proper antiques. Right, OK. So, do you know what this is? Yes, it was a promotion by Nairn Williamson of Fife, early 70s. and also because it can retain a lot of information. because lots of documents were kept in there. I think it's absolutely stunning. This was designed by the British artist Eduardo Paolozzi. In fact he's Sir Eduardo Paolozzi. It's for the Nairn Flooring Company. -And armour flooring as well. everybody had to have that sort of flooring in their kitchen, in a way. This was for the reps to have, really. The reps kept their paperwork in there. that really does sum up that sort of cubic block work of the 60s. You know, the late 60s? The brutal architecture of the South Bank. You know, when you see the South Bank? -And you see the architecture, that drab grey. But that really appeals to me. That really does appeal to me, and I love this little elephant. I really do. Problem is, we've got some damage there, haven't we? -Just there. Let me take that bit off. So how did the trunk get broken? We used to handle it by lifting it by the trunk and we used to keep our bank books in there. And it used to just sit on a unit and you just picked it up, and through time it just got broken. You picked it up by the trunk? -That's the kind of thing I would do, though, so I can't get annoyed with you. These were freebies, really. The reps had them. That's really good, look. I've turned it upside down. You can see a signature there, just at the bottom, there. -This is number 244 out of a limited range of 3,000. Which is striked into the base. I think it's fantastic. The fact that it's limited edition will add to the value of it. -The trunk's damaged. That will detract from its provenance and its value. Have you any idea what this is worth? I said to my wife, "If it's a couple of hundred pounds, it's always something." It's been sitting in the attic for 31 years. It's not going to be everybody's cup of tea. What does the wife think? She doesn't like it at all. She never has. I can put up with it but, as I say, it's been up in the attic for so many years now. -I'll be as well getting rid of it before any more damage happens to it, actually. Well, I think we could put it into auction with a value of 200 to 300 quite easily. I think it is quite rare. I don't know how many have survived. I know the Victoria and Albert Museum have one example. -So it's in good company, isn't it? I really do think it's great. It's one of the quirkiest things I've seen on Flog It! the antiques and art market is going right now. That's where the big money's spent. -Let's hope big money's spent on this little elephant, Bill. -We'll just have to wait and see. We'll find out later on in the show, that's for sure. -Good day to you, George. Good. You've brought this lovely gold pencil. What can you tell us about it? 20 years, and he had told me he'd received it in 1950 as a present. -the case and everything else, it dates to about the 1950s. decoration, and it was retailed by the famous firm Mappin & Webb. -So that was a nice thing to give to you, wasn't it? And have you used it since? No, I've never used it at all. I've just had it lying in the drawer. It's not the sort of thing you use on a daily basis, is it? -But it's the sort of thing that every gentleman should have, if they've got everything else. "What else shall I get?" -"What shall we get him for Christmas?" "How about a gold pencil?" It's quite interesting and nice. When you get that out, it propels. You turn the end and there the lead comes out. Any idea what it might be worth? Well, I maybe think about 50. Pretty good guess. I would think it should make £50 or £60. Gold prices are quite strong and also, it's still quite popular in the current gift market. So that's the sort of price we'd put it at. And why are you selling it? Just because it's never used and it just lies there and I thought I may as well sell it now. Not doing much good in a drawer, is it? -And would you have anything in particular you'd spend the money on? -I'd just maybe put it towards a holiday. Anywhere in particular? Where do you like going? down south somewhere, you know? OK. So you could go there? -Very good. Would you like to put a reserve on it? -I think I'll put a reserve on it, yes. -What do you think we should put? At what price would you rather stick it back in the drawer? -Yes, I think so. Yes. -If it doesn't make that, it's worth keeping. Let's hope, if it makes 50 or 60, we'll both be right, won't we? -And that's a lovely feeling. So thanks for coming along. It's auction time again and here's our remaining lots. Fay brought this bowling ball all the way back from Singapore. Will it hit its target and achieve a strike today? and with no reserve on it, it'll definitely be journeying onwards. room but will the damaged trunk ruin Bill's chances of a good sale? propel its way to a golden price? Gosh, my eyes lit up when this walked in. Well, it didn't actually walk in by itself, Sybelle. Bill brought this along. It's a shame about the damage on the trunk. -carry it around by the trunk. -Oh, dear! What a shame. -But, oh, it's a great piece. But how many have survived, I don't know. I've said £300. But I think a lot won't have survived, because it was produced by Nairn's Lino in Kirkcaldy. It was a publicity thing. They gave them away. So I think it'll do well. And he is in the news a lot at the moment. Yes. Well, obviously, the exhibition at Edinburgh, the big gallery there, and local boy. Wonder if the gallery's got one. I bet they have. Do you know, I think, at the end of the sale, we'll know how many have survived. Because the bidding will dictate that and tell us, won't it? There's been a lot of interest off the internet. one or two private collectors who collect his work are interested. So, £600 to £800, possibly? If you love bowling you will love this next lot. and Kevin. Good to see you again. Now, you are mad keen on bowling, or you were, won't you? -I was sponsored by Peter Stuyvesant cigarettes in Singapore. So you were pretty good? You were pretty good, I'd say, wasn't she, Kevin? -I think she was, yes. -I've got medals as well. Adam, red hot on the skittles, there. -Mmm. I'm useless at that. Absolutely useless. The ball goes all over the place. But we've got a valuation of £20 to £40. -Yes, I think we're on the right lines. It's a novelty item. I think it's so kitsch, it's fantastic. It's such a nice surprise. -You don't know what'll happen. We don't know what'll happen right now, but we'll find out. 178a, the Japanese bowler's decanter. Rather unusual, with the musical movement. And I've bids on this and we're starting at 12 bid. 12 bid. 12 bid. 12 bid. 12 bid. 45. 45. Anyone else want in at 45? -Oh, the skittle's down, there. -Adam said that it would be about that. He knows his onions, Adam does. -There was no reserve, was there? It had to go. Let it roll. Let it roll! Roll with it. That's really good, isn't it? What are you going to do with the £45? -I'm putting it to the Heart Foundation. -I've had problems with my heart so I'm putting it to the Heart Foundation. I wish people who bought stuff from charity shops and profited on it would do the same. Oh, there's a lot of sick kids in Edinburgh Hospital as well. -You're very kind lady, aren't you? -I've done the can-can for sick kids. Didn't I do the can-can? -I cannae do it now! Jeanette, I like this little travelling compendium. Lady's or gent's. Not a great deal of money but it's all there. -Yeah, it's got a few faults but with a bit of love and care, it could have a great colour. Let's hope we get that top end, plus a little bit more, shall we? -That would be nice, yes. -That's what we want. It's going under the hammer now. Good luck. £50 for this? 50? 30? Come on. It's got the decorator's look, hasn't it? 40, five, 50, five, 60, five, 70, five, 80. £80. On my right at £80. Any advance on 80? At £80. -That was a steady climb, wasn't it? -Someone's now got a useful bit of storage. -Yes, absolutely. That was great. -There's commission to pay but at least there's a bit of money in it. It'll do a couple of good lunches. I've been joined by George and Adam. We've got that gold Mappin & Webb pencil going under the hammer. -You've had this for 20 years. -Now it's time to let it go and flog it. Let's hope we get the top end of Adam's estimate, yeah? -Were you happy with the estimate? It should do the £60 to £90-odd, shouldn't it, Adam? -Well... Certainly 50 or 60, anyway. -Yeah, I would have thought so. Let's do it! Come on, let's do it! 20. 20 bid. 25, 30, five, 40, five, 50. £50. Any advance on £50? Yes! It's gone down. Just, just got it in estimate there, £50. -£10 above reserve, so it means there were two bidders. -So at least we got a fair result. It's a packed saleroom, Bill. -You've had the little elephant now 31 years? -I think it's time to flog, don't you? We're going to do that right now. I had a quick chat to Sybelle and she loved it as well. It's iconic. It belongs here in Scotland and she said she's got a couple of phone bids. Shame about the damage, though. Sybelle has been auctioning all day. -her colleague, Willie Smith, so we'll leave it up to Willie to do the honours, shall we? And knock the hammer down on this. the Nairn elephant sculpture document holder by Paolozzi. It's a very nice item. There's quite a lot of interest in it. We're starting the bidding at £240. -Any advance on? 260, 280, 300, 320 beside me, 340. Any advance on £340 for it? 360 beside me. Any advance on £360? On the telephone at 360. Oh, come on. Push the telephone. This is more like it, isn't it? -Don't you just love auctions? -Oh, we're going to get the 1,000! -950 this side on the telephone. Are you bidding on the other side? 950 beside me on the telephone. All done at 950. 950. Gosh, you must be so happy, surely? -Yes. That'll pay for the new washing machine. We've had our holiday this year so it will go towards next year's holiday. OK. There's a bit of commission. It's 15% here. and their wages but nevertheless, that's a great result, isn't it? -Very pleased with that, yes. Sadly, after all that excitement, we're at the end of our show. but all our owners have gone home, and they've gone home happy because we've sold absolutely everything. And the highlight for me was Bill and his elephant, making a staggering £950. That is where the smart money is today, in 20th-century modern. If you've got anything like that, we'd love to see you at our next valuation day. So until the next time, it's cheerio. Paul Martin and the Flog It! team are in Edinburgh at Our Dynamic Earth. Experts James Lewis and Adam Partridge are on hand to look for hidden treasures. Finds include a Meissen tea set in perfect condition and an advertising gimmick designed by a famous Scottish artist. Paul also discovers more about the area's mining heritage and hears about an infamous mine manager called Mungo Mackay who ruled with an iron rod.